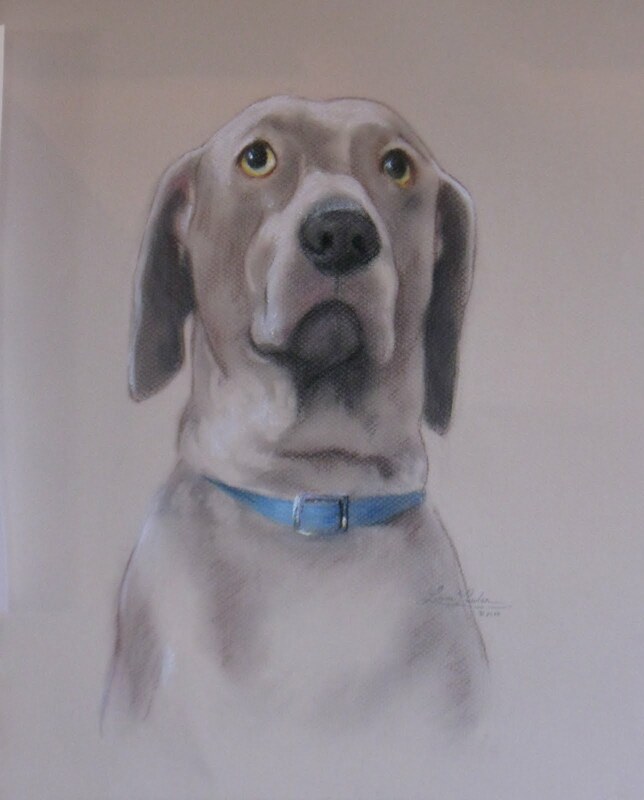 I never tire of doing pet portraits. This is Belle, a recent commission I completed. It is actually part one of a two part commission and I am currently working on the companion piece, Betsy. I will post Besty shortly. I am back, finally. Its been a long recovery period for my husband and he still has two more weeks before he can be left alone. I will be right here with him, so may not open the gallery before Dec. 10th. I am feeling the effects of Art Withdrawl.......becoming very bummed over the forced confinement. I am catching up on my art reading, but that just makes me crave the studio even more. I go into the studio here at our home, but can't get motivated like when I am at the Ice House. No sooner do I start something, than I have to stop and help the hubby. Oh well, thats the price we pay for true love. I thought I would share this drawing in charcoal on blue Canson paper and heightened with white conte. 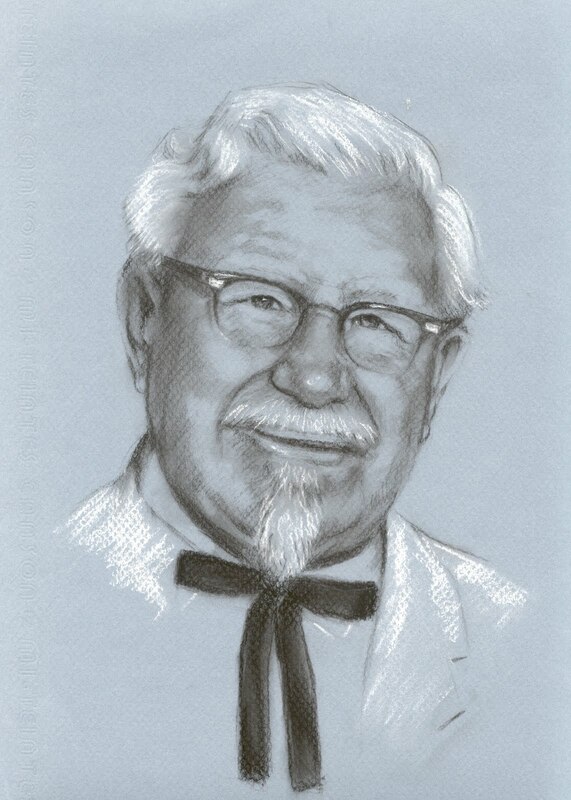 I did it for a competition for a chance to do a posthemous portrait of the Colonel. I did not win, but actually I did. I think just the act of getting a good likeness was a fair prize for me. I will not be updating my blog for a while and I am closing the Ice House Gallery from Nov. 16 til Dec. 10th. My husband is having surgery and I will be focused totally on his recovery during this time. 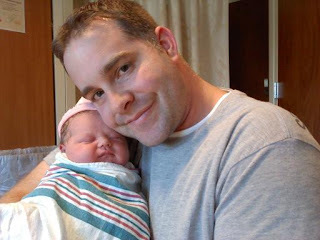 So for my parting pic......my new granddaughter, Izzy. Thats our nickname for her. You can see her father is one proud papa. I hope you have a very delicious and peaceful Thanksgiving.